Advanced Ultrasonics B.V. was founded in 1999 as an independent company in the Rotterdam area, The Netherlands. Providing support in the field of advanced ultrasonic inspection to different NDT companies worldwide. Over the years this developed into a company which specialized in developing applications in the field of advanced ultrasonics, Time of Flight Diffraction Technique (TOFD) and Phased Array are the key specialties. Consultancy, cross checks, 3rd party independent auditing , third party data analysis is another part of the work scope. Carrying out (advanced) ultrasonic inspections as it all started off with, is still a part of the tasks of Advanced Ultrasonics B.V., as this is in the companies view the basis of performing the above duties. Advanced Ultrasonics B.V.provides above services to NDT companies, construction companies and end users. 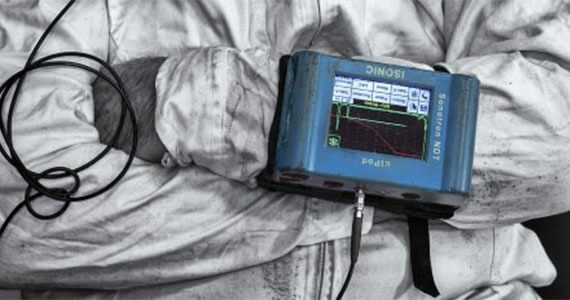 Advanced Ultrasonics B.V. is an agent for Sonotron NDT who is supplying the Full Range of the Leadership Performance Equipment for the Ultrasonic Non Destructive Testing. Application specific design with optimum ultrasonic techniques utilizing exisiting AUT systems, so minimising investment required in expensive research/ R&D. 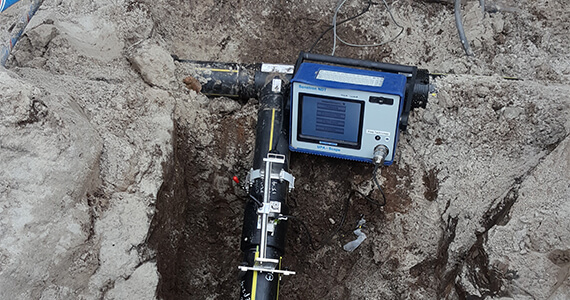 The Detection of environmental damage such as HTHA, HIC, Creep damage in high energy piping. Advanced Ultrasonic B.V. represent Sonotron NDT. Sonotron NDT specializes in the development and manufacturing of unique intelligent ultrasonic equipment and technology. View our available products. Want to learn more about Advanced Ultrasonics?